6th November 2017 – If you’ve experienced an act of violence or hostility because of who you are or someone thinks you are, you may have been the victim of a hate incident or hate crime. Hate incidents and hate crime happen because of prejudice or hostility based on a person’s disability, race, religion, sexual orientation or transgender identity. The law considers hate incidents and hate crime to be particularly serious. 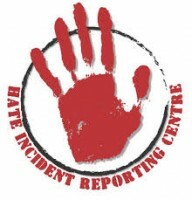 We are a registered reporting centre for hate crime and our staff can provide advice to those who have been subjected to a hate crime or hate incident and tell you where you can get more information and support. Please contact us if you think you have been a victim of hate crime but if you want to know more before you do this, this section on the Citizens Advice website explains what a hate crime or hate incident is (it can take many forms ) and what you can do if you’ve experienced, or know someone who has experienced, a hate incident or crime.